Long recognized as one of Country music’s most well-rounded, deeply passionate and prolific artists, Wheelhouse Record’s chart-topper Granger Smith announced today one of his most personal projects to date: They Were There: A Hero’s Documentary. Arriving on November 30 in conjunction with an original soundtrack, the self-produced documentary honors the lives of five fallen soldiers and seeks to pay tribute to their heroic sacrifices and infinite legacies. 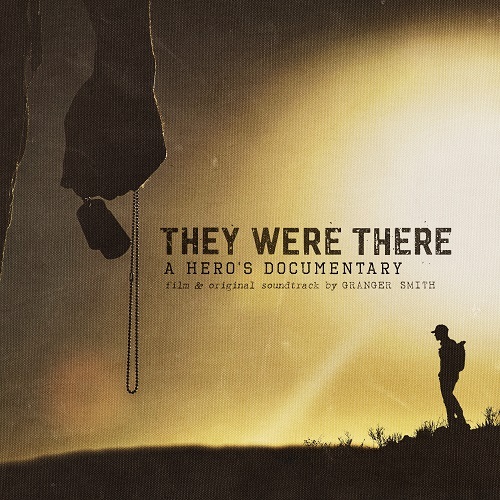 Watch the trailer for They Were There: A Hero’s Documentary. In partnership with Texas Roadhouse and Altama, the full-length documentary will be available across Granger’s YouTube channel, while the soundtrack will be available at all digital retailers and streaming services. Pre-order begins today HERE. Granger reflects on his inspiration for the project, “I’m lucky enough to have achieved a lot of different milestones and accolades in my career, but I realize that doesn’t come from merit alone. I discovered a long time ago that I am allowed to chase these dreams because of men and woman who volunteer to ensure my freedom. Over the course of five days, producer Granger Smith and director Paul De La Cerda embark on a journey to honor each soldier, one hero per day. Set against the Chihuahuan Desert near the Texas Rio Grande and Mexico border, Granger narrates the film, reading personal letters from the soldiers and meeting with family members and loved ones throughout the course of the film. Through one-on-one interviews, viewers intimately get to know their stories, their families and the aftermath of losing a loved one for the price of freedom. Deeply passionate and immensely patriotic, Granger is an avid supporter of U.S. military men and women: he founded the “100-Mile Boot Walk” several years ago and has since walked hundreds of miles in combat boots to raise awareness and funds surrounding the challenges and needs troops face upon returning home. He has also performed several shows overseas for our troops. Showing no signs of slowing down with “a career that is hotter than ever” (Billboard), the hitmaker continues to evolve into exciting new territory. Granger recently released his first-ever book If You’re City, If You’re Country, which immediately hit No. 1 on Amazon best-selling lists, while also consistently releasing episodes of his No. 1 charting podcast the “Granger Smith Podcast.” His current single “You’re In It” has entered the Top 40 at Country radio and he is slated as direct support on Kane Brown’s 2019 Live Forever Tour.